Not sure what to buy that special person on your list? Checkout our free gift guide for a list of can't miss gifts. There has been a growing interest on hoverboards, especially after they appeared in the movie Back to the Future Part II. 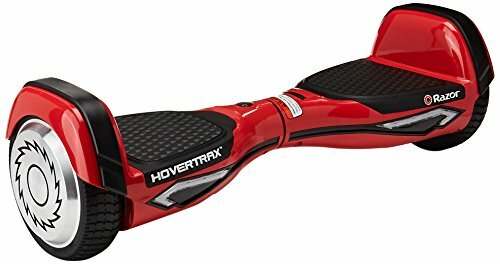 But allow us to get things straight though, while it is called hoverboard, it does not literally “hover.” They are motorized, self-balancing scooters that not only look cool but also allow you to ride with style. For this holiday season, this sure is a perfect gift to wrap for your kids. But just like anything else, hoverboards come in different varieties, and choosing the best one is definitely challenging. Luckily, you came to the right place. This review of the best hoverboards for kids was made for folks like you in mind. Ready? Regardless if you are a kid or just a kid at heart, the Tomoloo K1 X-Men is the best there is in the market. The brand itself is known to make the best kinds of hoverboards in the market. 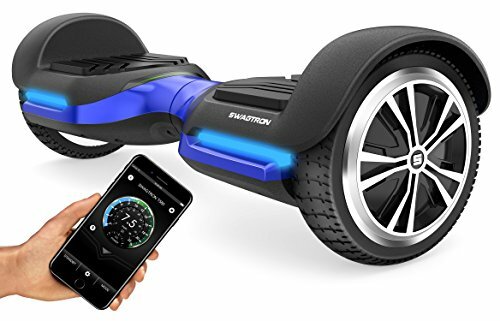 Aside from its aggressive design and durable finish, the coolest feature of this top-rated hoverboard is its Bluetooth connectivity. You can easily connect your hoverboard to your smartphone and control basically everything. You can regulate and get information such as lighting effects, battery levels, speed, and auto-shutdown time. What’s more, it provides real-time tracking location! It has a massive 16 million RGD color combinations, so you can have fun with your lighting effects. As for the music, well, say goodbye to boring cruises as this hoverboard allows you to play songs via the official Tomoloo app. It comes with a decent built-in speaker, by the way, and the power jack comes with a waterproof cap. The Tomoloo K1 is powered by UL2271-certified Samsung Battery Core batteries. They are safely placed in a fire-resistant cabinet. To ensure optimum safety, the outer shell is made of fire-resistant material as well. This self-balancing scooter is integrated with the latest version of Smart Battery Management System to prevent it against overheating, short circuit, and overcharging. 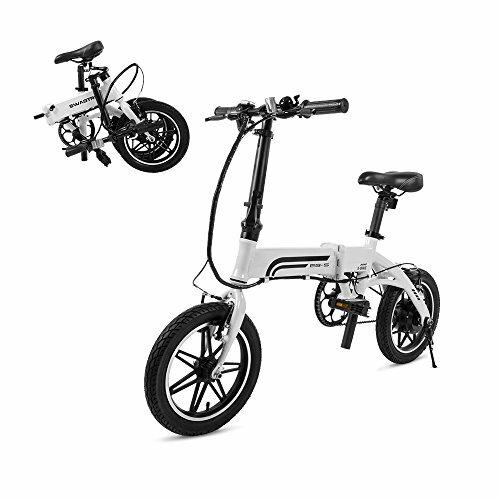 The Tomoloo K1 has a maximum speed of 10 mph and mileage of up to 12 miles. It can carry up 264 lbs of weight. It is equipped with 300-watt dual motors, with a battery capacity of up to 43,000mAh. 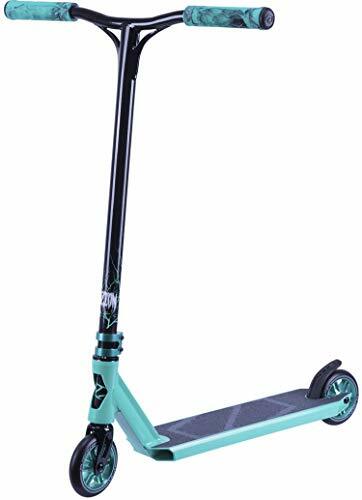 Another well-known hoverboard maker in the market is Segway, and its MiniPRO is definitely one of the best there is on the market. However, unlike your usual hoverboards, its design is more like an advanced personal transporter. 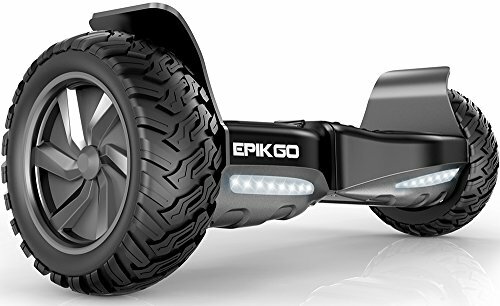 This easy-to-ride, lightweight, and portable hoverboard comes with safety app-enabled features. You can easily connect your hoverboard to your smartphone app via Bluetooth and control everything from it. It allows you to regulate the speed, customize the lights, and keep updated with diagnostics and firmware. But wait… there’s more! This hoverboard comes with anti-theft features. If the alarm is activated, it will make a beeping sound and you will receive an alert message on your phone. Its control sensor is also located at the knee pad, which helps analyze your body’s movement and maintain balance. This UL2272-certified hoverboard is powered by a lithium battery. 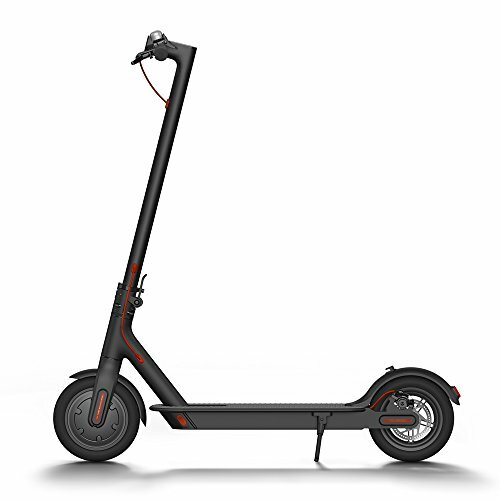 It charges using 100V to 240V and has a top speed of 10 mph with up to 14-mile range per full charge. It is equipped with an 800-watt motor and can handle almost any kind of obstacle and terrain. It can accommodate people with different heights from 3’11” to 6’6”. From the brand name itself, Swagtron makes swag-looking and swag-performing hoverboards. There are a lot of versions available on the market, but the T6 caught our attention the most. This hoverboard is made for riders who are on the heavy side of the weighing scale, with a maximum weight capacity of 420 lbs. It is also made of ABS plastic and aluminum for added weight support. Unlike most hoverboards, the Swagtron T6 can climb up to 30 degrees slope regardless of the kind of terrain. This baby also comes with IPX56-rated, gigantic 10” wheels to ensure you can survive all the bumps and puddles. A full charge can get you up to 12 miles at a maximum speed of 12 mph. 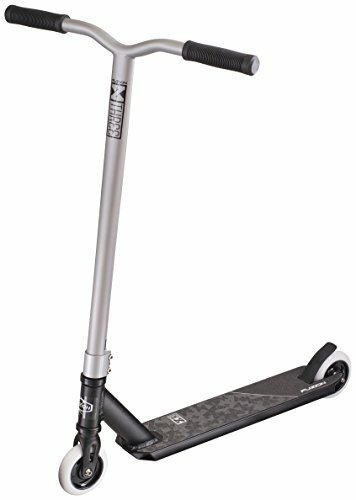 In terms of safety, the Swagtron T6 is UL2272 certified. Its batteries also have a superior Sentry Shield, which protects your hoverboard while charging or using. Don’t worry, this comes with a Bluetooth speaker for your music. 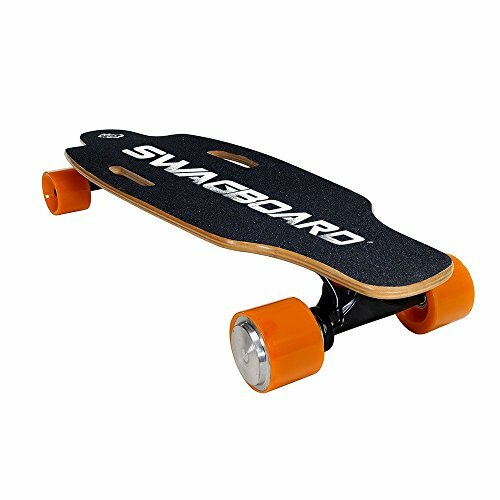 Ideal for teenagers over 13 years old, this hoverboard offers 30% more foot space and wheels compared with other hoverboards in the market. 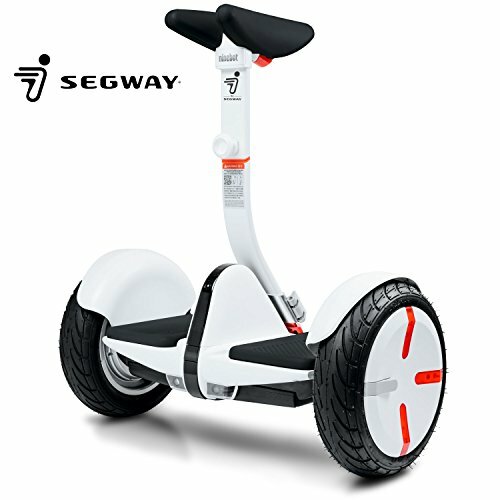 It is packed with 400W dual motors, providing better acceleration, more power, and faster speed. As for the wheels, they allow you to explore many kinds of terrain you want. Dirt, grass, pavement, puddles, or grit? No worries! This baby can handle. It can also be used on slopes of up to 18 degrees. Surely, this is suitable for all adventure lovers out there. The Epikgo is UL 2272 certified, making it safe against fire and electrical hazards. It can travel up to a distance of 10 miles or 1 hour following a full charge. Its charging time is pretty quick too at as fast as 2 hours. This hoverboard has a maximum weight capacity of up to 265 lbs. Quality-wise, it is made from top-notch materials. For instance, its alloy wheels and aluminum alloy frame are beyond the definition of sturdy. Its sleek design and powerful new technology are tough to beat features against its rivals in the market. It uses the so-called EverBalance Technology, which offers intelligent engineering and a smoother ride. It has a speed of up to 8 mph, with a maximum load capacity of 220 lbs. Safety-wise, this baby has met the standards being UL 2272 certified and approved of the safety when used by anyone. It has also been tested for emissions and has abode with environment-friendly tests, making it safe to use. Its body is made from polycarbonate too, which is robust to support any travels. It is powered with a 36 V lithium-ion battery, featuring a smart battery management system. Such innovation prevents overcharging and short circuits. In addition, the 350-watt motor provides a powerful engine back up and proper traction on turns and speed. Although relatively new to the market, Skque is doing a good job of introducing new features in its hoverboards. Flaunting its trendy and hip looks, this hoverboard comes in chic features such as Bluetooth speakers and LED lights. What’s interesting about this hoverboard is its zero turning radius. This allows you to simply stand on one spot and turn your hoverboard to a full 360-degree circle. This makes it easy and convenient to operate even at narrow spaces. Its improved motherboard also features gyro sensors. This hoverboard has a battery capacity of 44,000 mAh and can be fully charged within 1 to 2 hours. It is powered by two motors of 350 watts each and can travel up to 12 mph on one full charge. Like most top contenders on the market, the Skque X1 is also UL 2272 certified. Thus, it is not prone to catch fire and experience a short circuit. They are available in three sizes too (6.5”, 8”, and 10”), so you can easily pick something that will suit your needs. How the hoverboard got its name and who invented it? Since they make you feel like you belong to the future, here’s is a short history and quick facts about hoverboards. Although they are named hoverboards, they do not hover. Hoverboard is simply a term used to define self-balancing scooters, and its trademark was first registered in 1996. In 1967, Science fiction novel writer MK Joseph first described hoverboard as a skateboard-like device that floats above the ground. While the idea already exists, Shane Chan put life to it and invented hoverboards. Hoverboards work by sensors. Without the sensors, then they will end up just like your usual skateboard. These sensors detect feet movements that allow you to stop, start, slow down, and make turns. 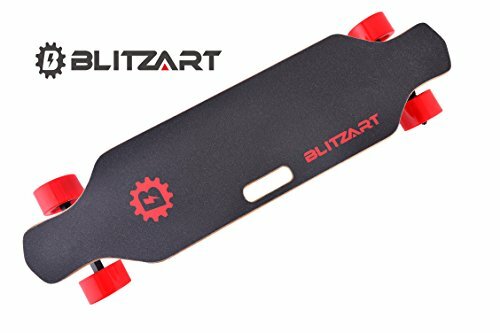 What are the factors I should consider when buying a hoverboard? For self-balancing boards, safety should always be the top of your consideration list. As you may have noticed, all of the hoverboards in our list are UL 2272 certified, which means they all went through rigorous standard tests to ensure optimum safety for their riders. Also, most UL 2272 certified hoverboards have a “safe stop” feature. So when the hoverboard suddenly loses power, it will break through a safe glide instead of a screeching halt. For kids who love adventures, speed and range are most likely the things they would look for in a hoverboard. “How fast can this thing go?” Of course, most want one that will not only run fast but also run for hours. Majority of the self-balancing boards for kids reach up to 8 mph and for adults around 11 mph. But don’t just look at the hoverboard’s capacity, try also to consider other factors such as the weight of the rider or the terrain. Also, knowing your speed and range gives you a good estimate of the amount of time it will take you to go to certain places. Usually, hoverboard tires are made of plastic or rubber. They both have their pros and cons. For instance, plastic tires work best on hard surfaces, while rubber tires are excellent for use on soft surfaces. Different wheel sizes also work on various types of pavements. Bigger wheels would work better on uneven surfaces that smaller ones. They also offer more stability even when going around curbs. Usual wheel sizes are around 6.5 to 7 inches, but newer ones are as big as 8 to 10 inches. Hoverboards are meant to be enjoyed and ridden for hours, or that’s the concept every kid thinks. Getting a hoverboard with a long battery life is the same reasons as checking the battery life of a laptop or mobile phone you want to buy. The battery life should at least allow your kid to arrive at a destination or last a few hours for enjoyment. But like speed and range, battery life is also affected by several factors. These can include rider weight, surface type, weather, or mode. On average, most good brands offer between 1 and 3 hours on full charge. As a rider or parent of the rider, you should know the capacity of your hoverboards. For instance, in terms of the climbing angle, you should know how steep your hoverboard can go without experiencing any difficulties. On the other hand, cornering tells you how you can turn the hoverboard. Some hoverboards have a zero-degree rotation. Both climbing angle and cornering are measured in degrees. Nearly all of the features and capabilities of the hoverboard depend greatly on the rider’s maximum weight capacity. We also meant about the hoverboard’s durability. Some brands that are made of low-quality parts tend to easily break down under pressure. What is the ideal age for kids to ride a hoverboard? To be honest, the answer to this question can be a little tricky. Some kids start young and have been riding flawlessly. While it is always best to follow the manufacturer’s instructions, here is a general age guide. A hoverboard equipped with 6.5-inch wheels is recommended for this age group. Consider getting something that runs slow as well, like one that has a top speed of not greater than 6 mph. However, do take note that it is still best to follow the manufacturer’s recommendation. For most manufacturers, this is really the starting age point for hoverboard riders. Consider buying a hoverboard with smaller wheels so it is easier for them to balance. As for the speed, get something on the slower end with a max speed of up to 10 mph only. You have a lot of freedom when choosing for this age group as their motor skills are more developed. 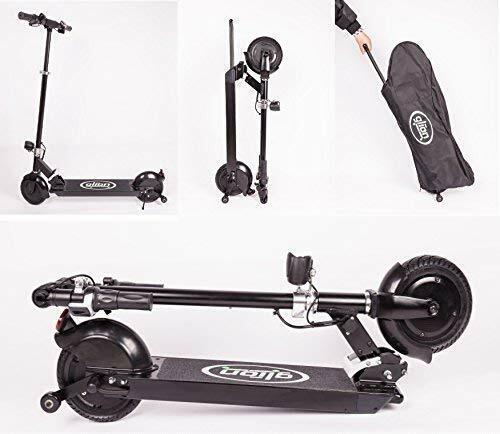 You can get something with bigger wheels, more powerful engine, and other cool and interesting features such as Bluetooth connectivity, led lights, and speakers. Speed and ranger are all left in your consideration. Most kids will eventually learn their ways and find techniques and style they are most comfortable with. But here are some tips and tricks to help them learn the basics real quick. This part seems to be the hardest. Always remember to step one foot at a time. Go with the dominant one first and then followed by the second foot. Try to imagine you are about to climb a stair. At first, you will feel like you are off-center, and allow us to reassure you that is perfectly normal. Do not worry. To move the board, you need to shift your weight in the direction. So if you want to go forward, then lean slightly forward to move. This is where panic usually starts to sink in. Consider shifting your balance from your hips instead of your feet so you won’t lose your balance easily. This might seem a little difficult from the start. Slightly leaning your weight backward will slow you down to a stop from a fast speed. Standing straight with weight evenly balanced will come to a full brake. Whether you are headed to the left or right, simply move the corresponding foot forward. The principle is almost similar to how a rudder changes the course of a boat. Accidental spin? Do not fret! Relax and just balance the weight of your feet and hips and stand up straight. Of course, you just can’t jump out of the board for it to stop. Usually, kids step off in front of the board. The ideal is actually stepping back behind the board using your dominant foot first and then followed by the second one immediately afterward. If you know how to pedal your bike, then you can undoubtedly ride a hoverboard. Just like any battery-operated gadgets, hoverboards can explore it charging is kept for long. That is why it is important that you avoid knock-off ones and choose those that have the best battery quality, like the ones we listed above. Some companies use cheap batteries to cost-cut, and you should not gamble the safety of your kid for a few dollars off. How do you charge a hoverboard? Similar to charging your device, charging your hoverboard is relatively easy. First, you need to make sure that the charger has been connected to the hoverboard. Then, plug the charger in the socket. Switch on the plug connected to the socket. Hoverboards feature a charging light indicator. A green light indicates that the battery is full already, while an orange light means the unit is charging. Are hoverboards waterproof? Where can I use it? This depends per manufacturer so make sure you have read the instruction manuals before using. Hoverboards are designed to run on smooth roads or pavements. Avoid grass, rocky terrains, and gravels for the best experience. 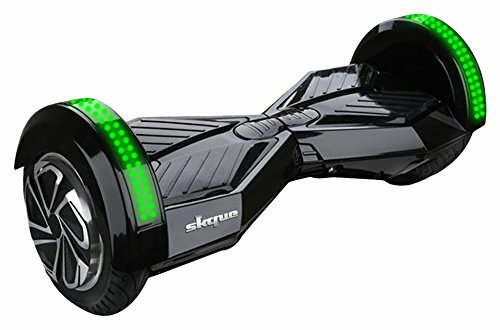 What extra features should I look for in a hoverboard? To attract potential customers, most manufacturers have add-ons to up their game. Interestingly, most of these add-ons are useful to the rider. 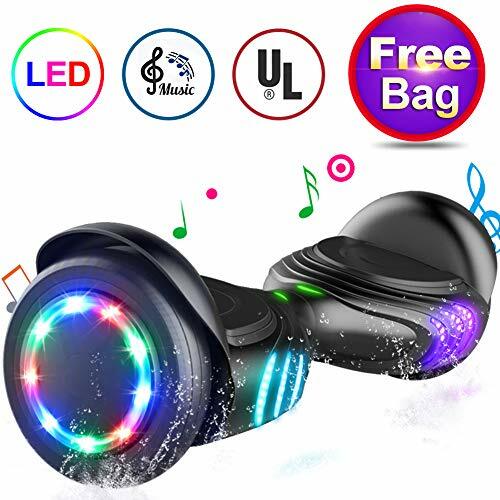 For instance, some hoverboards are now equipped with GPS and built-in Bluetooth speakers that you can easily connect and control through your smartphone. There are also some with gyroscopic, sensor pads, and car key-like remote. The add-ons entirely depend on your needs. But always do consider the added value it can bring to your hoverboard. But really, these extra features simply add that “cool” factor. There are a lot of things you need to consider when buying a hoverboard for your kids, but we hope that this guide helped you find the perfect one for your little one. Regardless if your kid is a newbie or an advanced learner, there is a hoverboard for them. As parents, just make sure you gear them up properly and ensure safety at all times. Carefully read and follow the instructions in the manufacturer’s manuals. Also, quality, quality, quality! Find a hoverboard that is guaranteed to be made from the best materials in the market today. Watch out for knock offs and do not buy anything that does not come with a return policy. One more thing, before “hovering” down the street, check with the local laws or your local police department about laws regarding hoverboards and where you can ride them without getting fined.